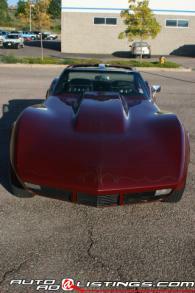 This vehicle was a show car for 20 years, it is in great condition. The hood was replaced and the entire car was repainted in 1974, everything else is original. It was not nor has never been wrecked, this was done to give the car more character for car shows. It really does only have 34,000 original miles on it. All numbers match. This was a factory installed option. The undercarriage was painted to match the exterior of the car to enhance the show of the car.